Found in a seemingly endless variety of shapes and styles, salt and pepper shakers have great collector appeal and are easy to display and enjoy! 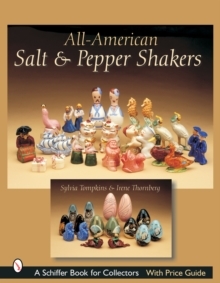 While interest has been steadily growing in American-made salt and pepper shakers, little has been written before on these charming and colorful "homegrown" collectibles. Now two well-known authors are together to present more than 800 American-made sets from the 1930s to the 1960s, along with background information on the companies and artists that produced them. 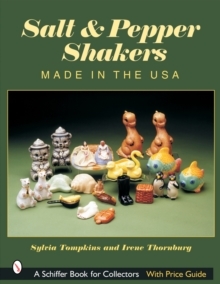 Shown in over 650 color photos are shaker sets made by Rosemeade and Messer, sets from more than ten California potteries, and several never-before-seen sets from Ceramic Arts Studios. The authors provide helpful information on marks, labels, and other means of identification, and the captions include descriptions, heights, and values. 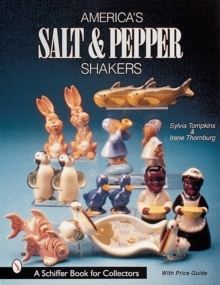 A must for every salt and pepper shaker enthusiasts' library!